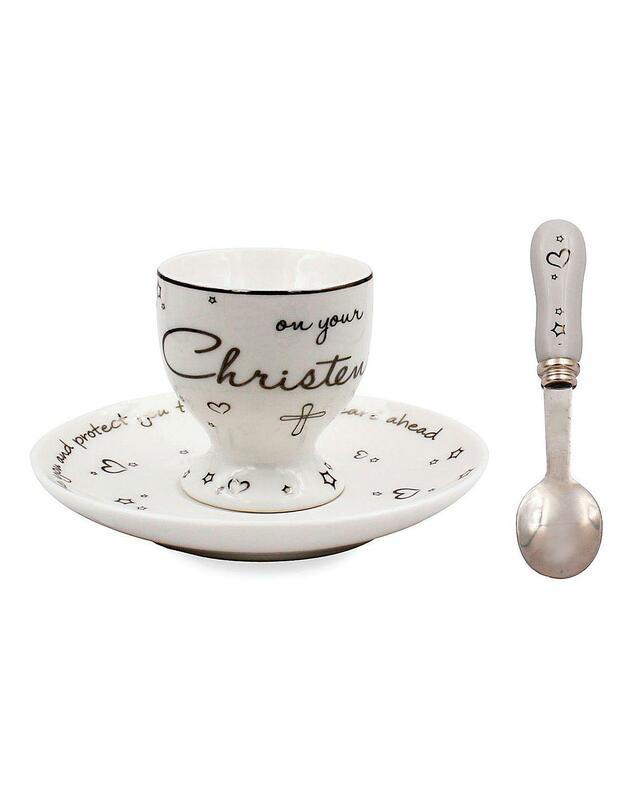 Ceramic Christening set in a contemporary design. Consists of an egg cup, plate and spoon. Comes in a presentation box.